Orion Minerals’ planned Prieska copper and zinc mine in the northern Cape could in the longer term explore smelting synergies with Vedanta Resources’ Black Mountain Complex, Orion’s chief operating officer Walter Shamu said on Thursday. Orion, which filed its applications for a mining right in April and is targeting completion of a bankable feasibility study by the second quarter of next year, has spent A$34m to date on exploration and studies on the site of the old Anglovaal mine. Using modern techniques, Orion has delineated an inferred resource of 29.4 million tonnes, of which about a million tonnes is on surface in the old crown pillar and the remainder is at 900m-1.2kms depth. It has also found two other potential prospects within 5kms of the old mine – the Annex copper deposit and the Ayoba discovery. Once Orion receives regulatory approvals and funding it would take about two to 2.5 years to develop the mine to first production, Shamu said. It is still completing its studies but typically a mine of this size could cost about A$250m. The Anglovaal mine was shut in 1990 but left some infrastructure behind, including a 900 metre-deep shaft that needs to be re-equipped and de-watered below 330m. Shamu said Orion intends to build a “mine of the future”, using modern technology which will reduce the dilution that Anglovaal was experiencing – up to 40% in some cases – and mechanised equipment that operates faster and more safely at depth. It may not initially be a fully automated mine but would be built with the potential to become one. Anglovaal employed about 4,000 people but under Orion, Prieska would probably employ about one-fifth that number. The company is looking at how to develop local capacity. Orion would need to build a new processing plant to produce copper and zinc concentrates, which would be trucked about 40kms to the nearest rail link. From there, the most feasible route to export markets is about 800kms via De Aar to Coega. Discussions have been held with Transnet on the logistics and with various traders and smelters on the best possible offtake options. Shamu said Prieska would be too small on current planning to justify a smelter to produce copper cathode. 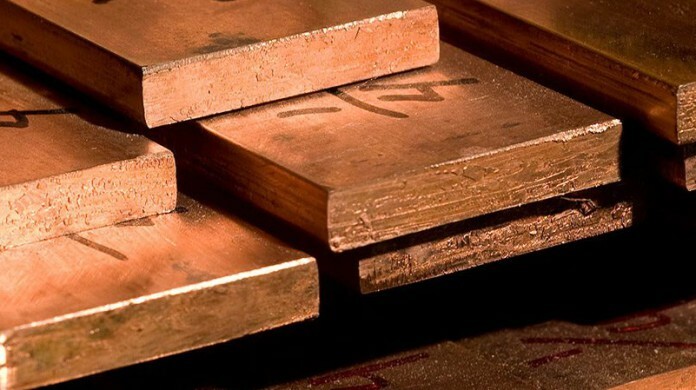 But Vedanta, which at its Black Mountain Complex 500kms away is currently deepening its Swartberg copper and lead shaft and completing phase one of the new Gamsberg zinc mine, has said it was considering building a zinc refinery in modules for Gamsberg’s phase two expansion.